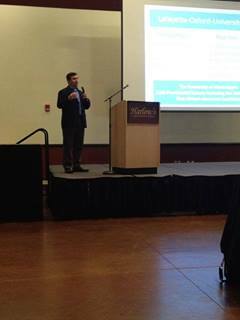 McLean Institute Director Dr. Albert Nylander traveled to the Mississippi Delta to present at the November meeting of Leadership Mississippi. 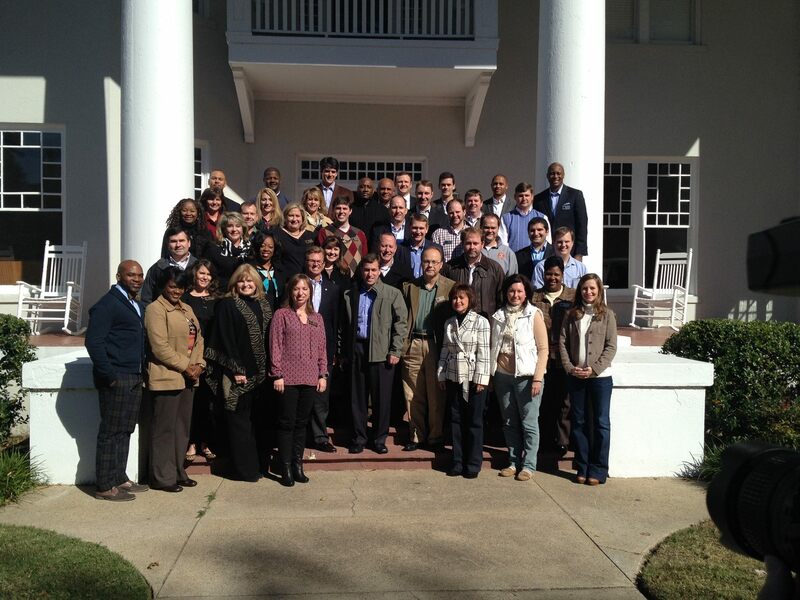 Leadership Mississippi is the second oldest statewide leadership program in the nation. The program strives to prepare leaders with the tools and strategies to address community and economic development issues throughout the state. Many current Mississippi executives and political leaders have graduated from the program, which is sponsored by the Mississippi Economic Council. Dr. Nylander is one of 50 participants in this year’s Leadership Mississippi class, and was asked to present on the perceptions versus realities of Oxford and Lafayette County to the 2013 cohort. Nylander spoke about the area’s impressive growth and development. Oxford was one of the fastest growing cities in Mississippi in 2012, and the University of Mississippi is the state’s largest institution of higher learning. The meeting included discussions of some of the drivers of Oxford’s growth, including the Winchester plant, its status as a retirement city, and its cultural offerings. The program has been beneficial to Dr. Nylander. “As a participant of the 2013 leadership class, I’m developing strong networks with leaders across the state. For the future I’m certain I’ll remain in contact with many of these newly acquired friends and leaders, who will add to the intellectual capital of the McLean Institute in its mission to improve the quality of lives for Mississippians. I’m thankful to the Mississippi Economic Council and Cathy Northington, Leadership Mississippi’s director, for this amazing opportunity to make a difference in our state,” Nylander said. Leadership development is an important part of the McLean Institute’s efforts to promote service on campus and fight poverty through education statewide. The Delta Leadership Institute seeks to replicate the successes of Leadership Mississippi through the eight state Delta region.